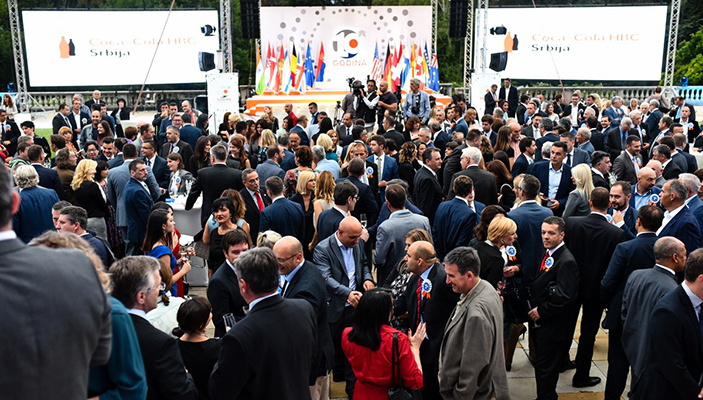 NALED has since led reforms to make Serbia’s regulations more equitable, business friendly, and enduring; supported efforts to reduce the shadow economy; and helped establish the Economic Caucus in Serbia’s Parliament, among other results. Until recently, Brnabić served as president of the NALED managing board. 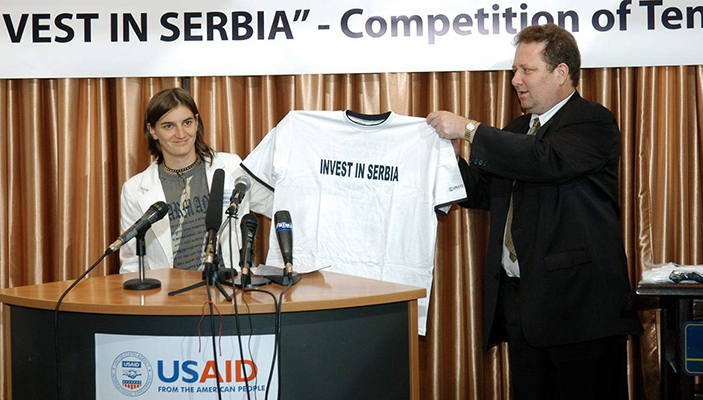 “Our mission [is] a Serbia … with local leaders who have all the prerequisites to realize their visions, with businesses which feel the need and the duty to pay all of their liabilities and respect the regulations, the laws that we adopt together, a simple tax system, and most of all, satisfied citizens. In this, I count on full support and a constructive criticism from NALED,” Brnabić said in a speech to attendees. NALED has nearly 250 members: half businesses, 40 percent local governments, and 10 percent civil society organizations. It has become the key representative to the Serbian government and parliament when it comes to defining the regulatory priorities and legal solutions significant for businesses. NALED’s responsibilities also include providing independent assessments to the European Commission on the status of reforms in Serbia.